If the Easter Bunny inspires you to do something different on Sunday 27th March 2016, then head to the National Motorcycle Museum near Birmingham to take advantage of some additional attractions for one day only. On Easter Sunday, the staff will provide free guided museum tours for everyone visiting the various bike halls. 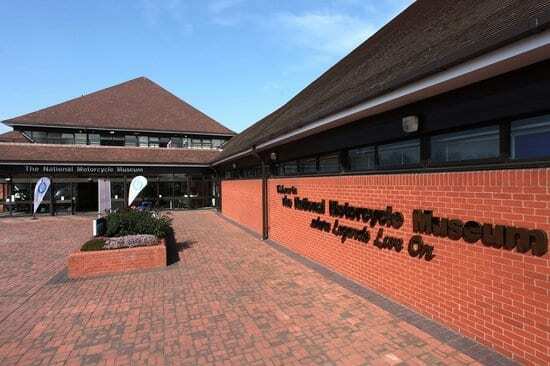 Just pay your entry fee as normal and then assemble at the admission desk at either 11am or 1pm to be shown around the NMM’s extensive collection of British classic and competition motorcycles. While you’re waiting to join the tour, you can ‘meet the bike cops’. Motorcycle officers from Central Motorway Police Group will be giving relaxed and informal presentations at the NMM during Easter Sunday. 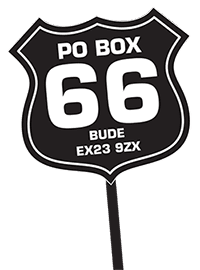 The presentations will be focused around attitudes to riding, basic bike maintenance, wearing of appropriate protective clothing and will provide officers the chance to engage with visitors and the local motorcycle community. On top of that, during the whole Easter ‘fortnight’ children will be offered an Easter egg as part of the free children’s quiz goodie bag. Those special Easter activities are included in the NMM’s normal rates. If you’d like to try something even more unusual, then the museum’s ‘friends’ scheme may interest you. This gives old bike enthusiasts exclusive opportunities to participate in unique activities, and the NMM has set a busy schedule for Friends’ events this year. The series started with a Workshop Training Day, hosted by TT calendar girl Rachael Clegg. A packed suite of 50 Friends learned plenty of tricks of the trade during talks and demonstrations from Redditch Powder Coaters and Central Wheel Components. In the afternoon session, Norman White gave a fascinating lecture. The Norton race machine guru and ex-NVT development engineer has restored many of the museums twin cylinder Norton race machines. These workshop days are free of charge to NMM Friends as a part of their membership, and further dates are planned later in 2016. Then a couple of weeks ago the NMM hosted its inaugural ‘ride a classic’ day. Twelve classics from the NMM collection, including a Brough Superior SS100, Vincent Black Shadow, BSA Rocket Gold Star, Velocette Venom, Norton Rotary F1 and a 1914 belt-drive New Comet, were lined up for Friends to try on closed roads for a morning or afternoon session. The participants were given an induction briefing and individual training from museum staff on the more challenging veteran bikes before riding a set private-road course within the museum grounds. Friends paid just £5 towards the insurance costs, on top of their annual membership, and two more ‘ride a classic’ days are planned. Next, the NMM Friends will take to the Queen’s highways on three classic bike tours, scheduled for 3rd April, 18th June and 24th September 2016. Riders will receive an induction and private-road training before being escorted by ex-police motorcyclists around the beautiful Warwickshire countryside. The bikes on offer varies from a BSA C15 to an SS100. Each class of machine attracts a different ‘hire’ fee which includes insurance costs and lunch in the NMM restaurant. To take part in these activities, you first need to join the NMM Friends scheme which costs £29.95 for adults with discounts for OAPs and families.